It won't come to no surprise when I say I'm a big BB cream addict, I love everything about them. I love how light and natural they look on the skin. I love the finish they give, I love the texture and consistency of them. 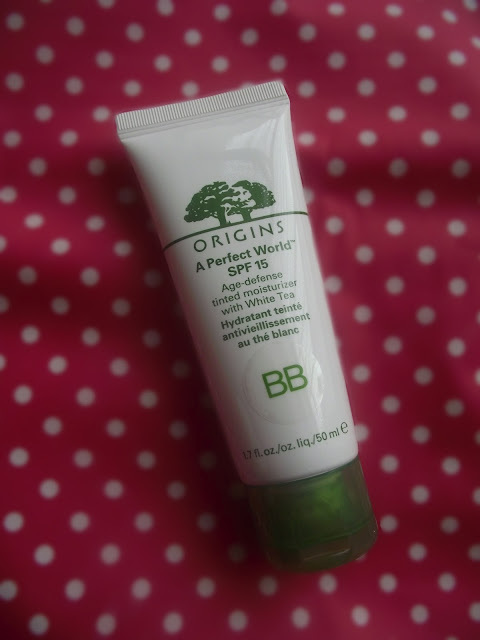 So when I heard Origins where launching a BB cream I knew it would be a good'un. This is from the Perfect World collection which contains White Tea Extract, I've tried their perfect World Cleanser and it smells very similar. It helps perfect, protect and hydrate the skin which is everything I look for when using a BB cream. The natural ingredient Trehalose nourishes the skin helping the skin to feel hydrated for longer. Antioxidant- Rich Silver Tip White Tea boosts the skin's defences against pollution and other environmental aggressors. I tend to use BB creams more than foundations purely because I love the natural coverage and the feeling on my skin. I've tried a few BB creams and to be fair they've all be loved and used lots, some do have a slightly thicker consistency than others but I don't mind that. I would say that the new Origins BB cream is more of the thicker side making it a great for building up coverage. I always use a brush to apply my BB cream and found that it gave my skin a really natural flawless finish, almost like a foundation. There's 6 shades to pick from, however I think if you have very pale skin you may struggle because this is the lightest shade- Fair 01. I'm more yellow toned than pink toned, I hope that helps. I love the smell of this BB, this is probably my favourite smelling BB cream. You can tell there's amazing ingredients packed into it. A blend of essential oils, Lemon, Sweet Orange, Bergamot and Spearmint give an uplifting feel when you apply it. Great for the morning and helping you feel more wide awake! Overall I've been reaching for this BB cream, I think the mix of great quality ingredients, texture and coverage have won me over. This really feels like your skin is getting all the goodness you want it to have but at the same time it's making your skin look fresh and healthy which is what we want right? What do you think? I totally love this product and recommend you give it a go, stop by your counter and have a look at the shades if you're unsure which one is best suited for you. 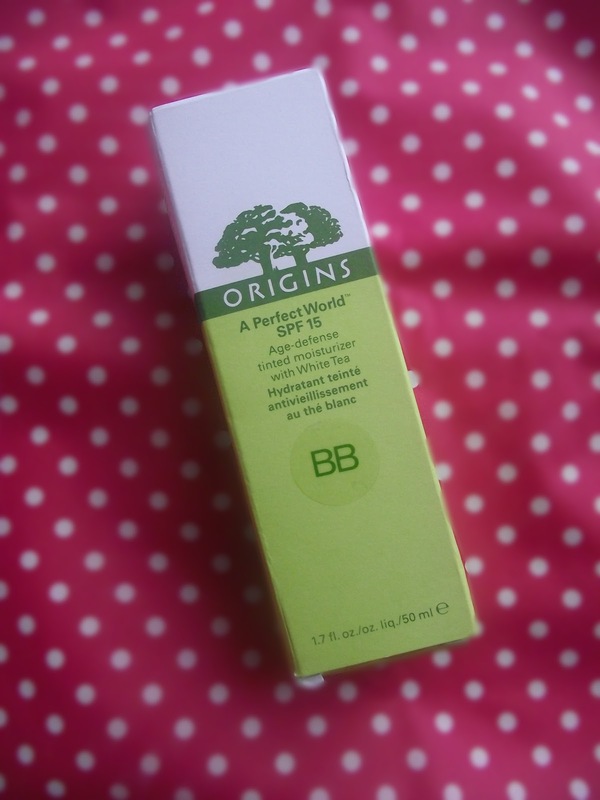 Will you be picking up the New origins BB Cream? Oh I've been wanting to try a BB Cream for a while. I'll look for this next time I'm at an Origins counter. I didnt know they made a BB cream. I wanna try it now!